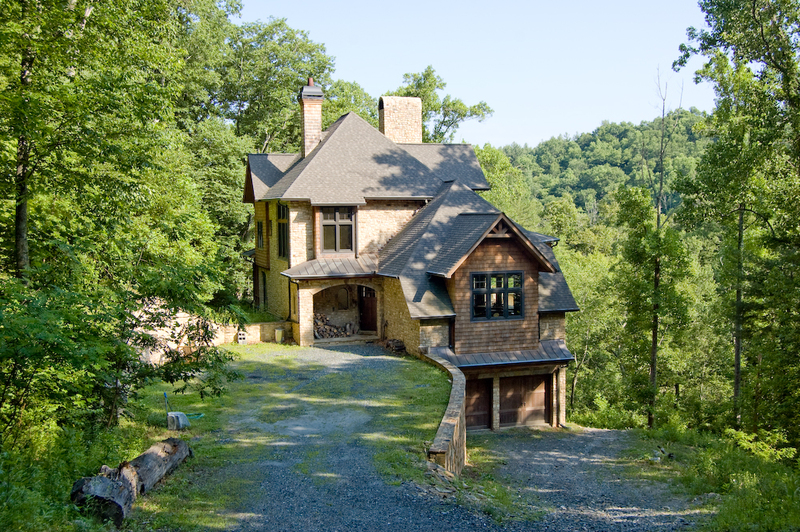 Welcome to New River Bend Lodge - Privacy, Mountain Views and New River Access. Wi-Fi Internet, Flat Screen TV with Netflix Only and Sleeper Sofa. Open Floor Plan with Kitchen, Dining Area and Great Room. Access to Oversized Deck for Mountain and River Views. Spacious Kitchen is Perfect to Host Your Family Gatherings Where You Can Create Memories for Years to Cherish. 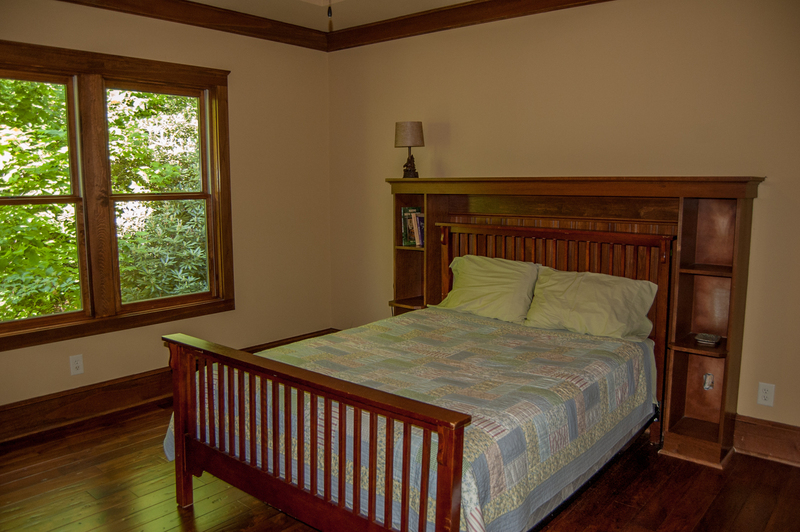 Spacious Master Bedroom with King Size Bed and Sitting Area. Master Bathroom with Tile Walk in Shower and Double Vanities. 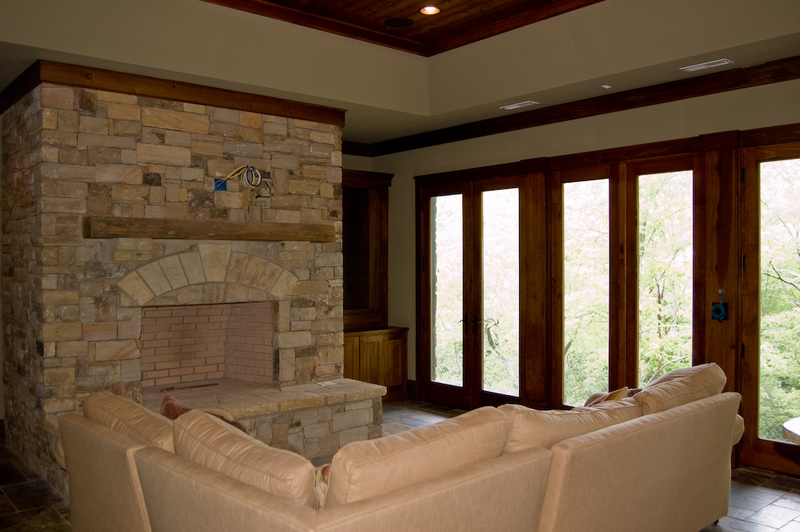 Private Porch Off Master Bedroom with Wood Burning Fireplace. Oversized Deck with Teak Table and 4 Chairs - 2 Additional Lounge Chairs. Lower Level Media Room with Sleeper Sofa. Football Size River Bottom Offers Space for Games and More. 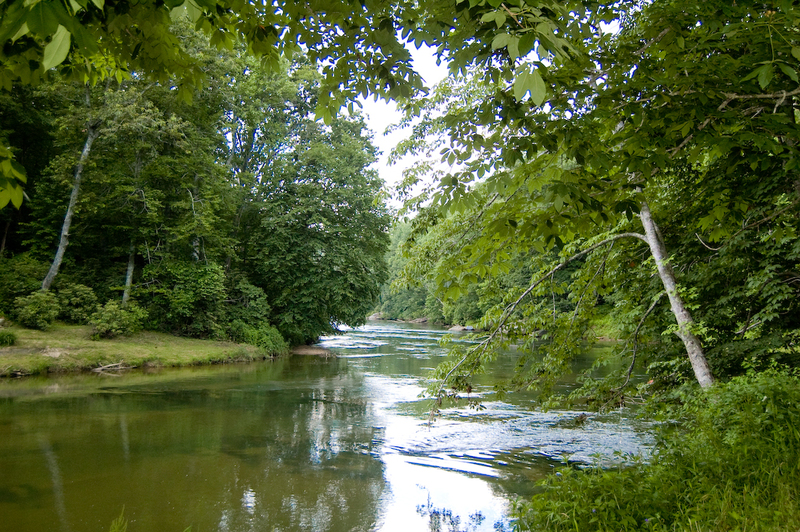 View Down the New River. 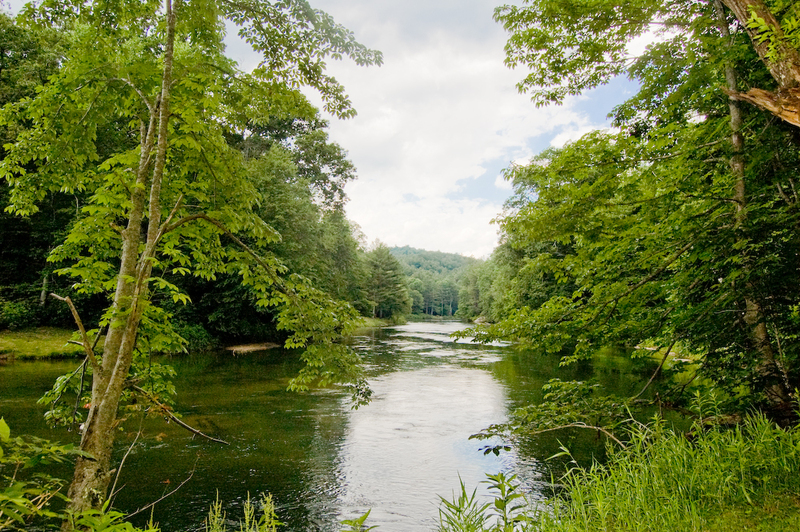 Over 400 Feet of River Frontage for Fishing, Canoeing, Tubing, Kayaking and Swimming. GREAT usable section on the river. Great Rock Outcropping for Fishing and You Will Catch Lots of Native Fish!
" 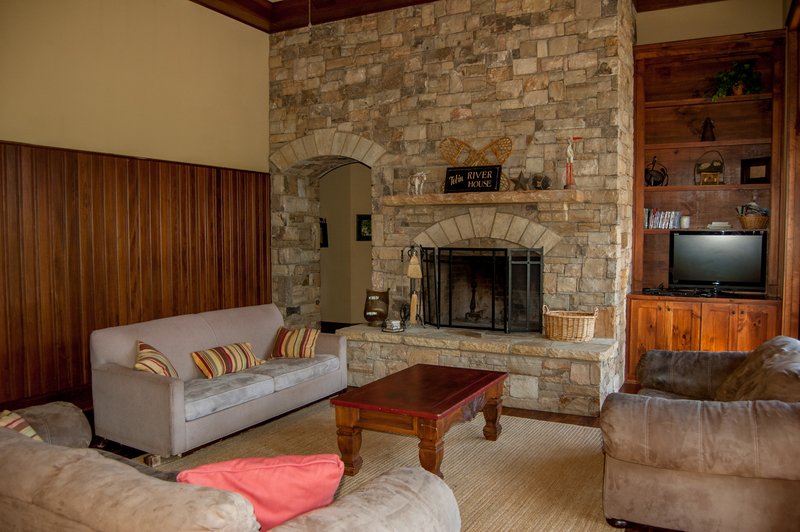 NEW RIVER BEND LODGE "
No matter what time of year you visit you'll enjoy the lodge style accommodations this rental offers. 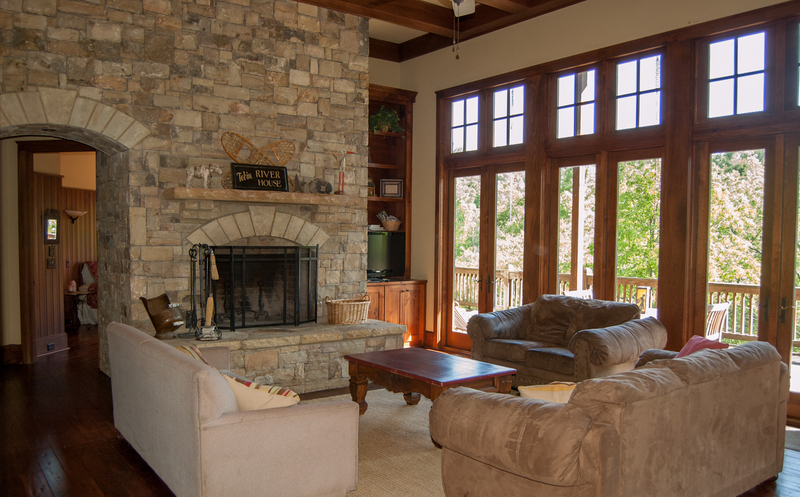 The main level features an open and spacious living area, complete with wood burning fireplace, 32-inch flat screen TV and ample windows and glass doors leading to the expansive deck overlooking the beautiful New River. The gourmet kitchen features an large octagonal granite island, professional grade gas stove/oven, double dishwashers, a wine refrigerator, a double copper apron sink and a large farmhouse table with seating for 10.The roomy master on the main level features a queen size bed and private master bath complete with a luxurious Jacuzzi tub and two-person shower. 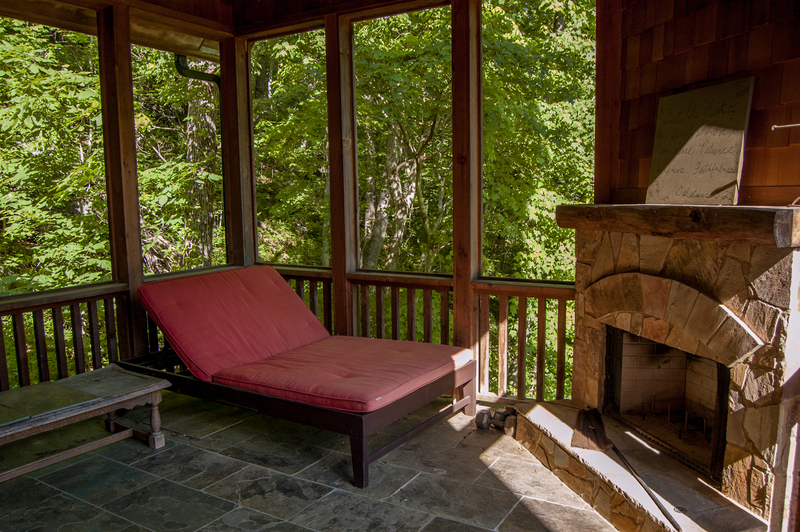 A private porch featuring an outdoor fireplace and two-person chaise lounge overlooking the New River and surrounding woods is accessible from the master bedroom. A half bath and laundry room are also included on the main level. 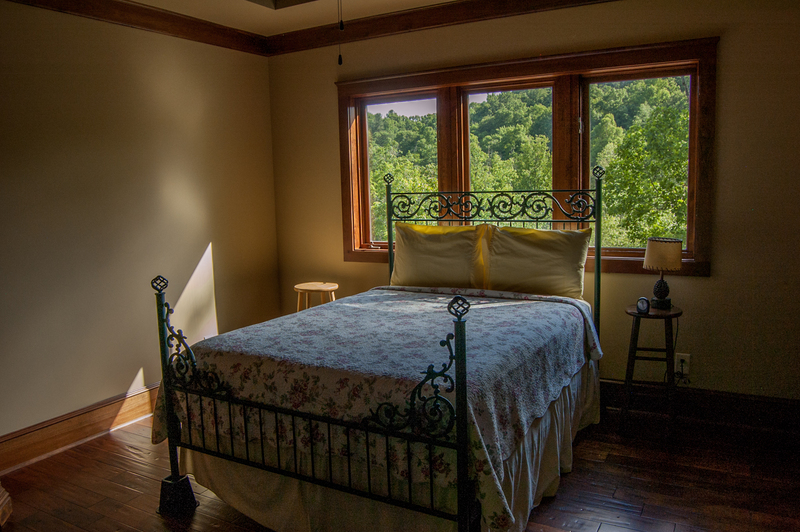 The second level offers three bedrooms, each with a queen bed and walk in closet. 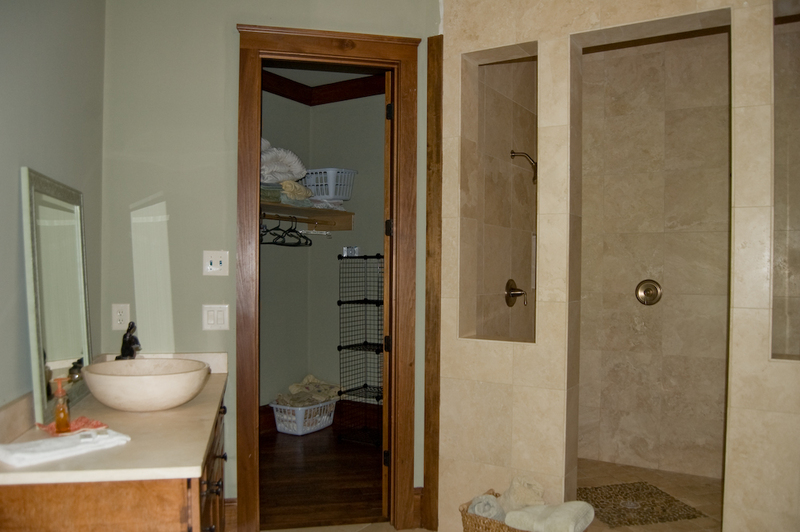 Two of the bedrooms feature a full bathroom with a tub/shower combination. On the lower level, you will find a bonus living area with kitchenette. 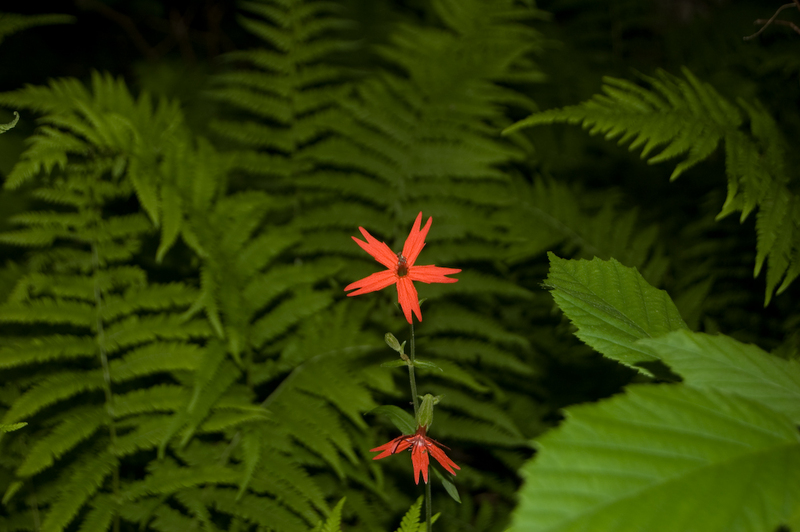 As beautiful as the interior of the lodge is, you will find so many reasons to enjoy the outdoors too. 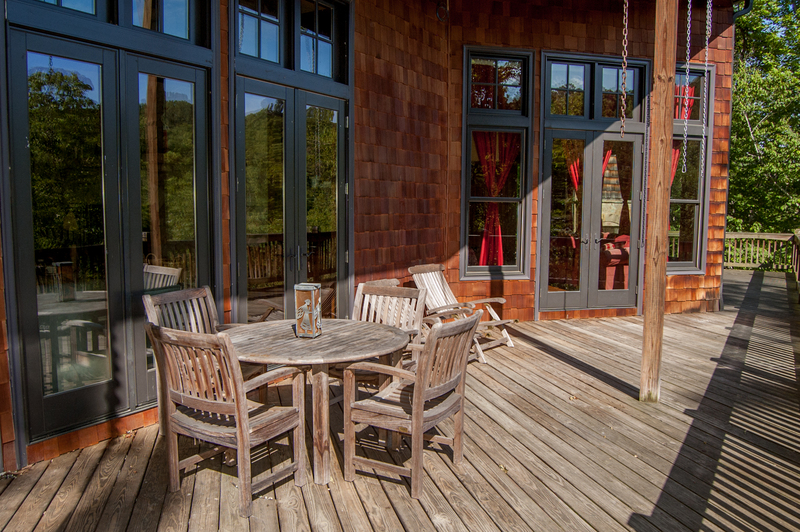 The expansive deck is the perfect place to soak in the outdoors, There is also a charcoal grill located on the deck. Offering over 650 feet of gorgeous, private riverfront access, you will find plenty of on-site fun geared towards the entire family. 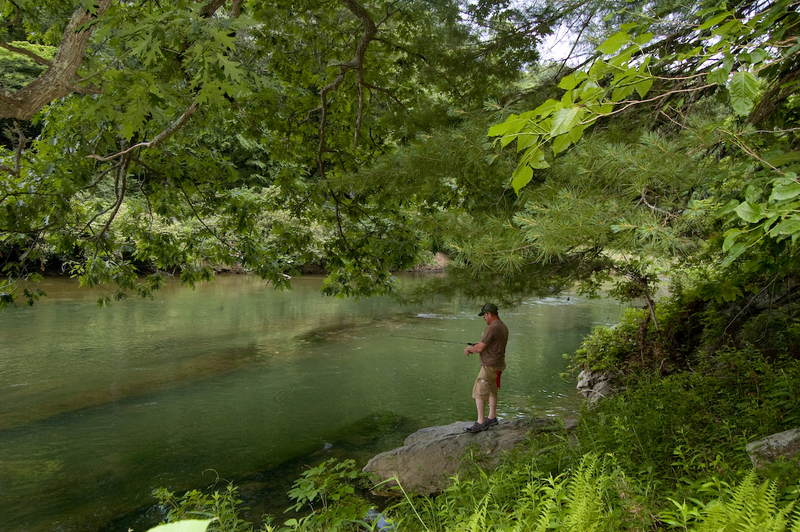 Explore the wooded trail along the river, relax in a hammock along the water's edge, cool off during the day or drown a worm?.all right in your own backyard. 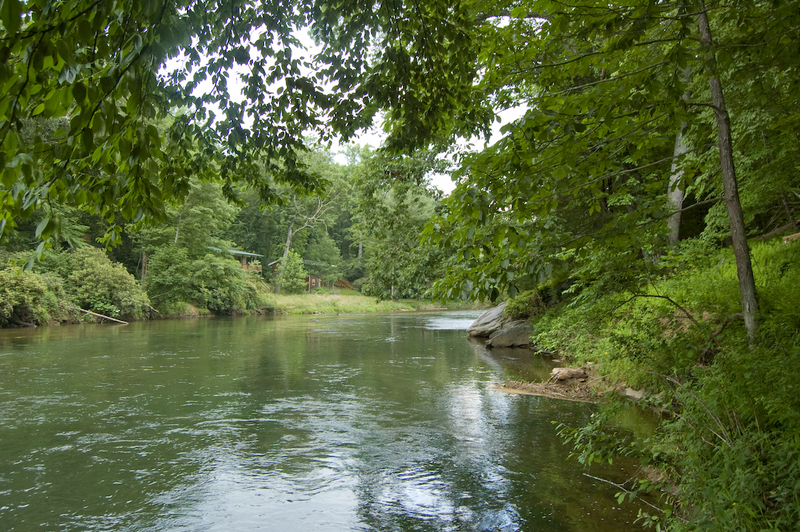 Tubing, canoeing and kayaking rentals are all available nearby. Relax, splash and play in this unique mountain getaway that offers something for the entire family. 4WD OR AWD RECOMMENDED YEAR ROUND BUT ESPECIALLY DURING WINTER MONTHS. DO NOT PARK AT GARAGE - VERY STEEP. 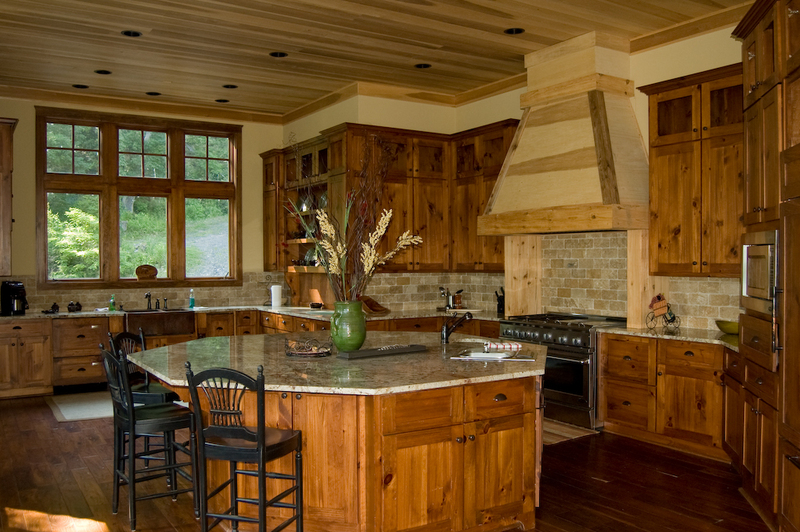 "What a fabulous cabin, the kitchen is to die for, each bedroom has its own bathroom. two fireplaces outside. This place was super nice for a large family, we loved it. " "Great house with everything that we needed. Large yard and river access just a short walk down the driveway. Convenient to canoe rental companies. Beautiful drive up to the house. " "My family had such a good time! This home is amazing!" 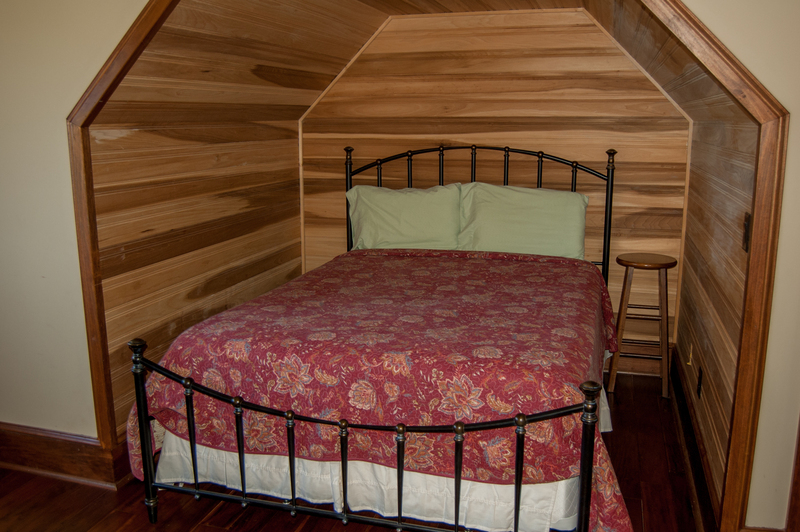 "The cabin was really homey, comfortable it had what we need for our staying. But I would of loved for it to have a playroom. The inconvenience of having to dispose the garbage ourselves. " "Beautiful extremely large home and was perfect for our needs. The family had a great time and also really enjoyed the grounds. The only downside was that either some things didn't work or we just couldn't figure out how to use them but it didn't stop us from enjoying our time there. I should also say that fortunately we had rented a 4WD and it was a really good thing we did especially since it rain. 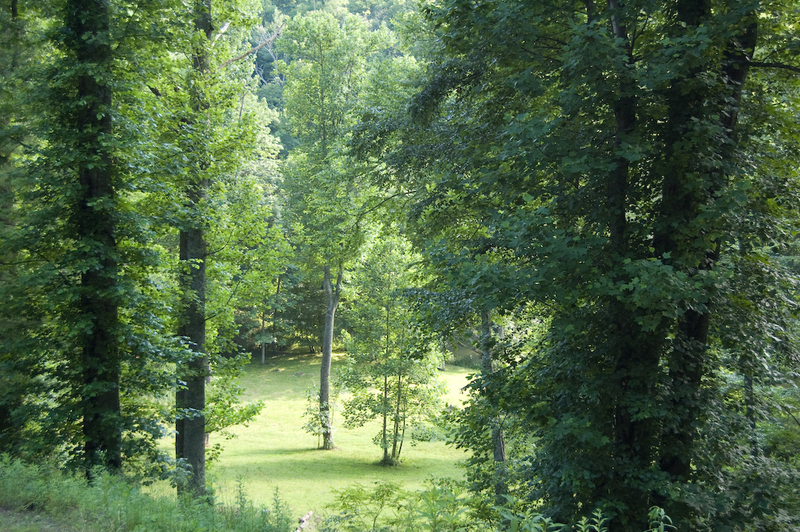 The driveway right at the house is extremely steep and you cannot see it in the pictures. It took several trips to transport family to and from the gate at the top of the road leading down to the property but on the plus there was ample parking at the gate for the extra vehicles. Even with the small inconveniences it was worth it." 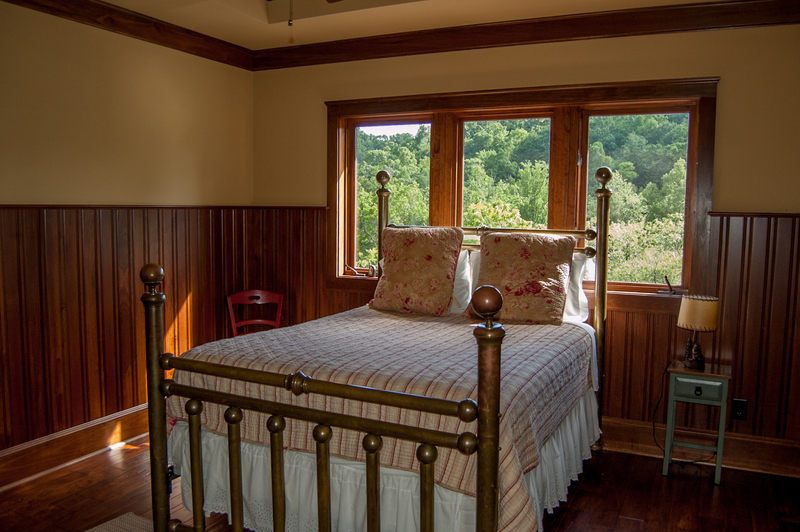 "The cabin was very spacious and clean, with a gorgeous view. 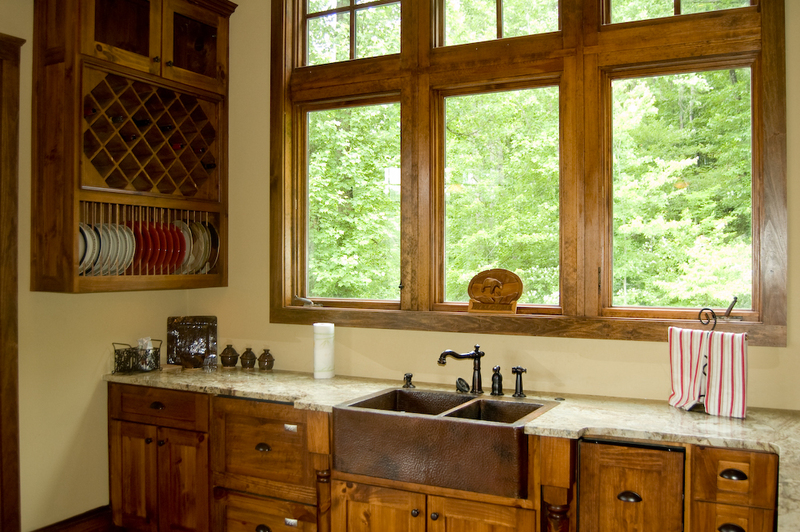 Loved the kitchen and master bath!" "This house is really big and beautiful. Our family of 10 stayed for a long weekend and enjoyed it very much. " "Great accommodations. Perfect for four couples...PLENTY of room! " "The home is beautiful with a ton of room! Nice large commons areas, nice deck and Firepit area!!! Owners worked extra hard on driveway and we were fortunate and didn't have any rain!!! Bring your 4 wheel drives :) minutes from kayak rentals and a nice downtown area!!!" "We have rented this home before and love the enormous kitchen and huge bedrooms. The views are fantastic! This home has a tons of space, making it great for groups. It's a bit unfinished inside which makes it a great value. A few downsides: The access to the river is a bit challenging, it's definite a hike, would be great to add a ladder or deck down there to make it easier to swim. It rained during our stay which made the already steep driveway a big concern, I recommend 4-wheel drive for the driveway. The front door is VERY hard to open and close, potentially the house has settled a bit making it stick in the frame. We tried for 20 minutes upon arrival before calling the rental agent who ultimately told us to try harder...ummm okay. It ended up being a two-person job but would be nice if the door could be fixed. It is a huge downside to an otherwise great rental. 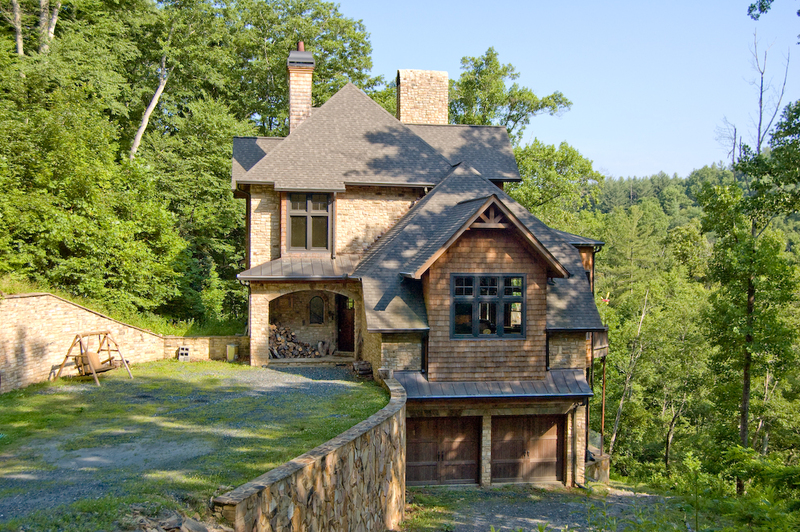 This house is great for a quiet retreat because most carriers don't get cell signal. 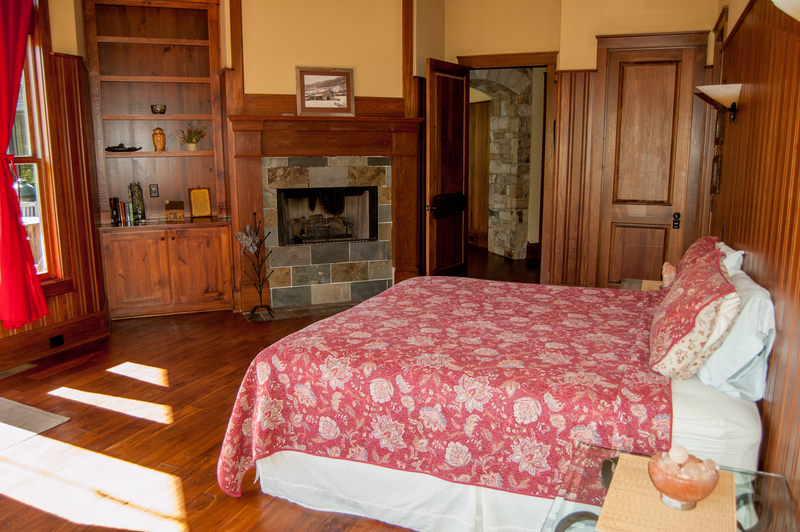 The fireplaces are awesome, and the master bedroom/bathroom is very relaxing. " "We had a good time! " 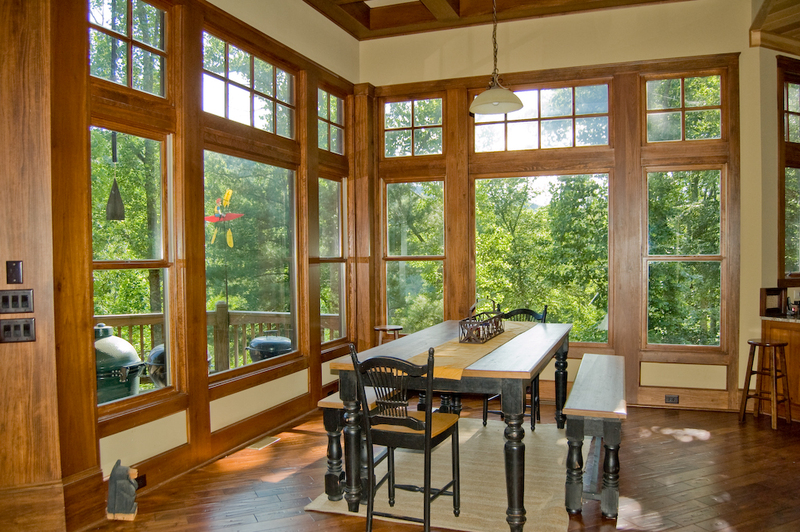 "My family wanted to spend some time together and we decided to book this cabin. The cabin was very nice and very peaceful. This is the place to go if you need some quite time where no one can bother you. The only thing that we don't like is the drive way. It is too steep and if you don't have a 4 wheel drive it will be hard. It will be even harder if it rain. We got lucky that there were no rain." "Large home in very remote area. High quality but needs some work. House is not fully complete and needs some basic handy work to finish construction. Remote location on the river was very nice. " 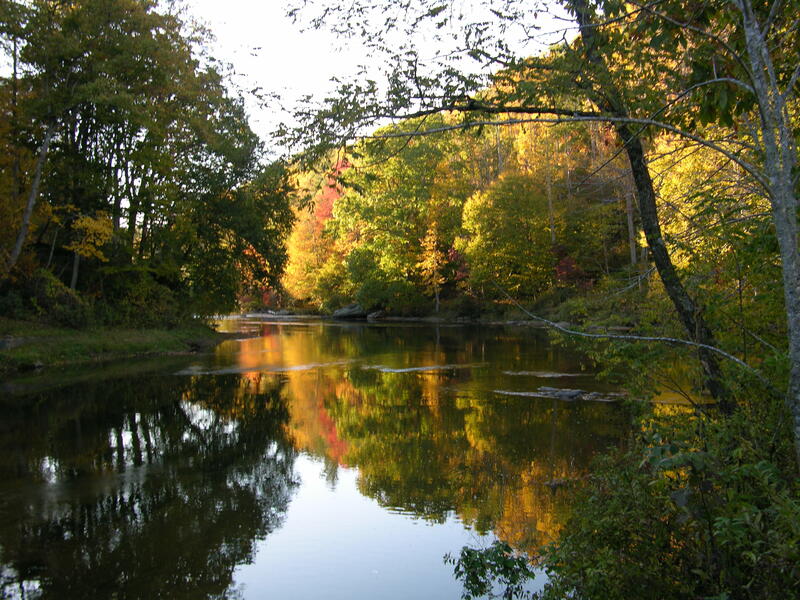 "The house was very nice and the property location was private and very close to the river. Only downside was that there were still a few bedrooms and areas of the house that were unfinished. I would definitely rent again. " "While the cabing in well designed and located in a georgeous setting, there were a number of items that - if had been taken care of - could have been a perfect vacation. There were many outlets that had exposed wire and not operational. The lights above the kitchen sink did not work. 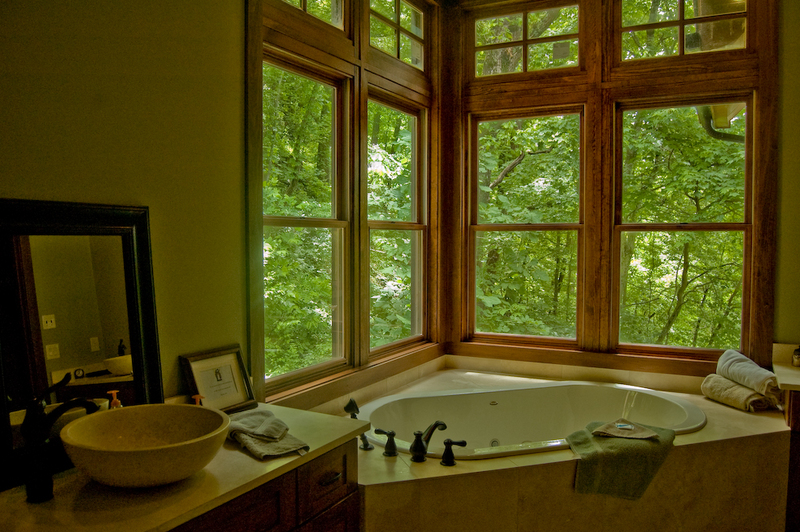 Also, there needs to be lights installed about the master bath room mirrors." 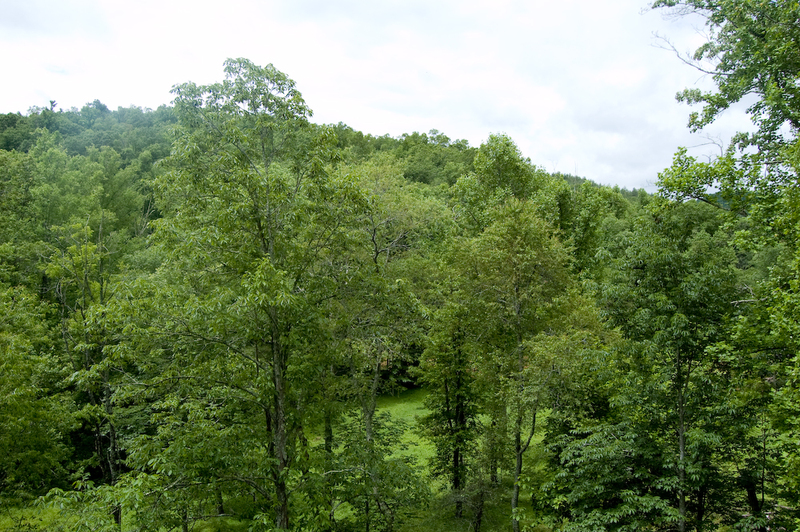 "My family consisting of 12 people stayed at New River Bend Lodge. This place is super nice. 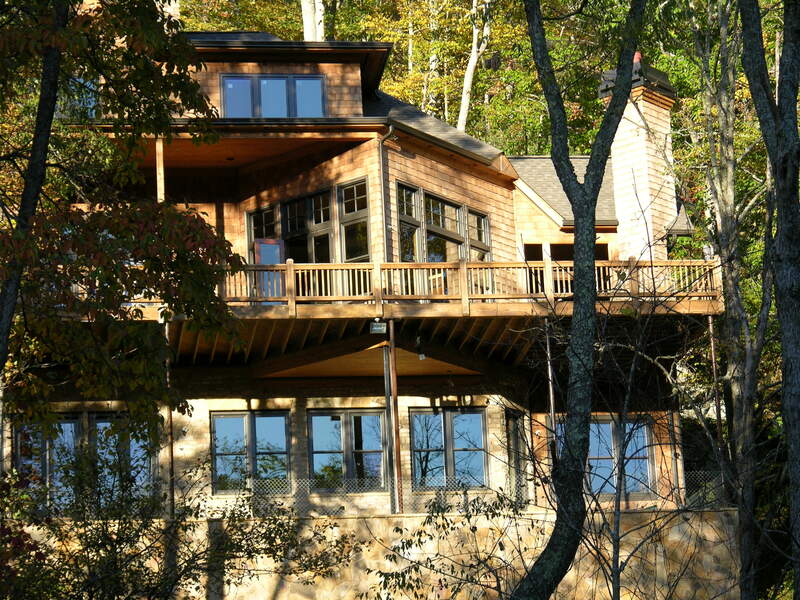 Big enough for privacy & situated near the beautiful river setting.Enjoyed vac. here!!" 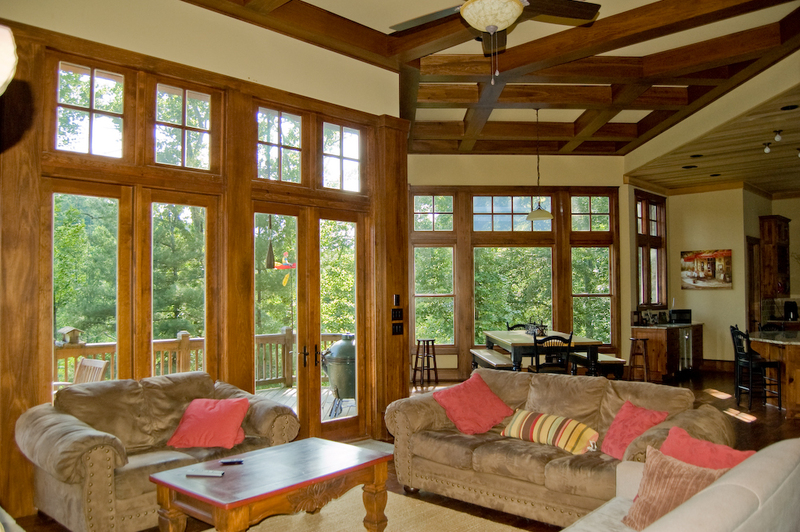 "This house is beautiful and very spacious. There are things that are not complete about it but nothing that makes it unlivable. We enjoyed both inside and outside fireplaces and the large porch with hammock chairs that were a big hit with our daughters. The location was nice. It wasn't very far to town. The river view was beautiful, the walk down to it was fine for my husband and myself but a little difficult for our daughters, 3 and 4. Overall we enjoyed our stay and would have had room for other families to join us. " "The home is beautiful inside and out. Since it is a new construction there were some things in the house that were still unfinished, but nothing to inconvenience your stay. The driveway and dirt road getting to the home could be a little tricky if there is inclement weather. There were 15 of us total at one point and we still had plenty of room without feeling like we were on top of each other. I would love to stay at this house again in the future and definitely recommend it for large families. " "Great house. The four bedrooms and four and 1/2 baths were great since we had six adults. Super kitchen. Beautiful view from almost every corner of the house. Deck sitting a favorite past time. Kitchen well equipped with over the top appliances. Privacy of the home was an extra for us! Hope to return in the fall." "Apon arrival we were very impressed with the size of the house, kitchen and eating area were perfect for our large group. Great location and very secluded. We went to Grandfather Mountain (which is a must see) and Teeetsie Railroad which were about 40 minutes from house. Overall one of the best mountain trip we have been on! Thanks for a great weekend! Look forward to booking house again "
"Overall our stay was very good. The steep driveway caused us some concern because we had older people with us who were not able to make the climb up the hill to the car. We opted to go into W Jefferson for groceries and just stay at the lodge rather than trying to do any sight seeing. The lodge was great! We didn't have any hot water the first night, but a call from the owner remedied that quickly Friday morning. I would recommend this to someone younger and definitely with 4 wheel drive." 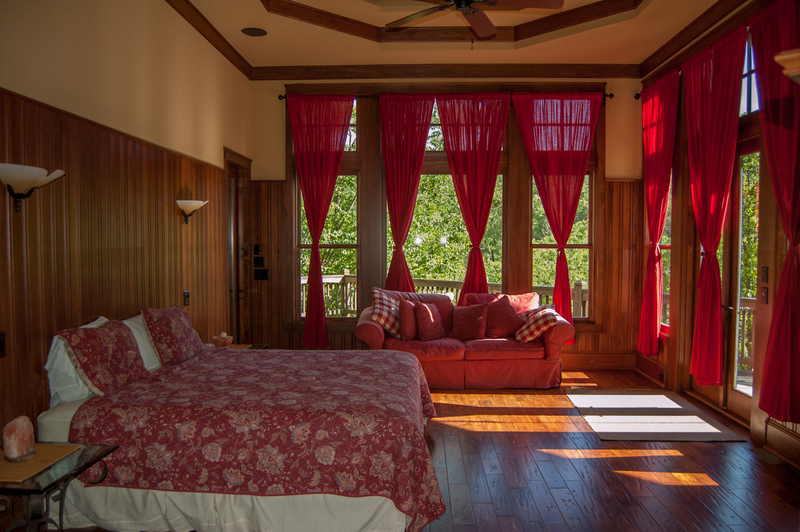 "We loved our stay at the New River Bend Lodge! It is very spacious and has a great layout for a group. While it's a work in progress, the space is phenomenal and the kitchen is ideal for large group meals! " "The house itself is very beautiful architecturally. Very spacious and in a great setting. The house was somewhat dissappointing because it is not finished. There are missing outlets, lights, trim, etc. Some of the bathrooms have tile that is not grouted. The "finished" lower level has a kitchen/bar that is not complete and was musty perhaps because the ac was off. The lower level terrace was blocked off. The house needs better maintenance. When we drove up, the weeds were overtaking the driveway making it look almost abandoned. The kitchen was sparesly equipped but again, the range hood wasnt done, backsplash tile, etc. While we were there, the wifi stopped working as did one of the dishwasher drawers. There is no cable/dish TV; it is an "internet" TV so you have to request the channels/movies you would like to see which was frustrating and since the internet went out mid week, no TV either. We didnt mind since we were outside most of the time but annoying for the kids. The wine cooler was not hooked up. As a "luxury" rental, there are things that need attention. Overall, it is a beautiful place and we did enjoy ourselves. " Property is priced appropriately due to some of the little tweaks that still need to be completed. Luxury feel but not luxury prioced. Great section on the river and lots of space for all friends and family. Wi-Fi back up and going, local thunderstorms knocked it out and it was not reported till after they left. Be sure to read all the reviews first! "This was a beautiful house. The amenities were great and I would stay again. Hopefully soon!" "This house is amazing, my family and i had the best Christmas vacation, the house looks better in person than the pictures. Totally recommend this property!" New to our rental program so more photos and info in the works. We pulled this together last minute before the holidays!